Virtual Tour Lovely equestrian property & charming estate home & adjoining coach house w/837sf apartment perfect for guests or in-law suite. This gem is tucked away on 5+ acres backing to Peterson Preserve, yet close to town in sought after Oakdene neighborhood. Bring your horse home to the 3-stall barn w/run-out, paddocks, pastures, ponds & dressage area. The main house features hardwood floors throughout, volume ceilings, heated floors, 4 fireplaces, covered front porch, circle drive, 4 garage spaces & plenty of storage. There are 4 bedrooms up including the generous master suite with his & hers closets, beautiful master bath & second ensuite bedroom. This spacious home has formal living & dining rooms, den w/custom built-ins, gorgeous kitchen & eating area open to the family room & heated sun room. Spend summers enjoying the stunning pool & patio area w/built-in grill station, brick paver deck, seating & pergola. 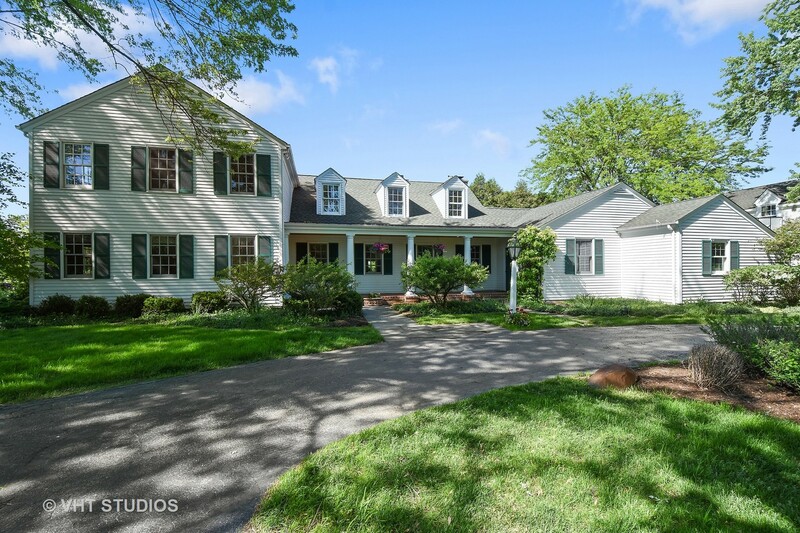 Close to local shopping & dining, Metra & A+ Barrington Schools. W ON COUNTY LINE/LAKE COOK RD, LEFT ON OAKDENE ROAD, FIRST LEFT ON OAKDENE EAST TO HOME ON LEFT. I was searching on Blue Fence and found this listing. Please send me more information about 17 Oakdene East , Barrington Hills, Illinois 60010. Thank you.